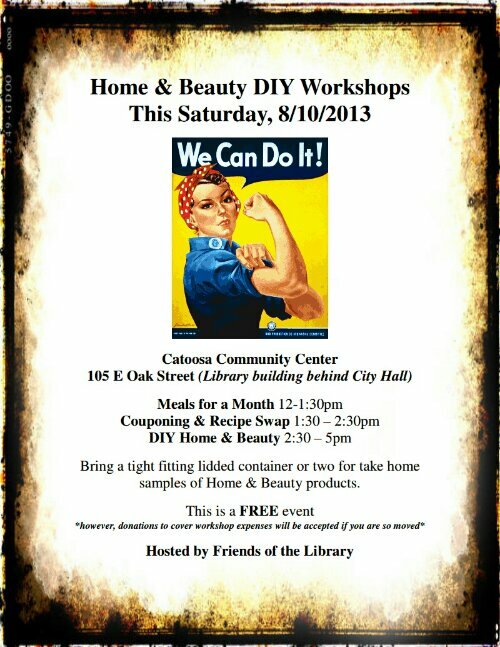 Home & Beauty DIY Workshops This Saturday! Bring a tight fitting lidded container or two for take home samples. « ZUMBA Core Wii Fitness!